Marilyn Bridges Photography: Ancient Sites: EGYPT. Karnak with Sacred Lake (Overview from Northwest), 1993. 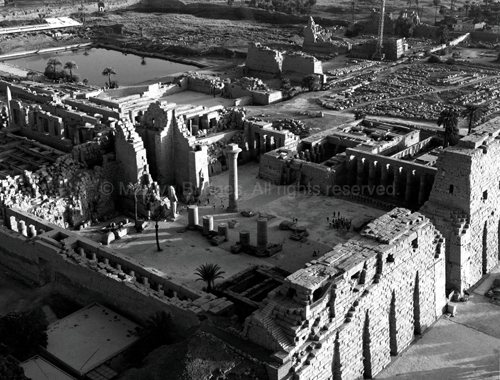 Karnak with Sacred Lake (Overview from Northwest), 1993.